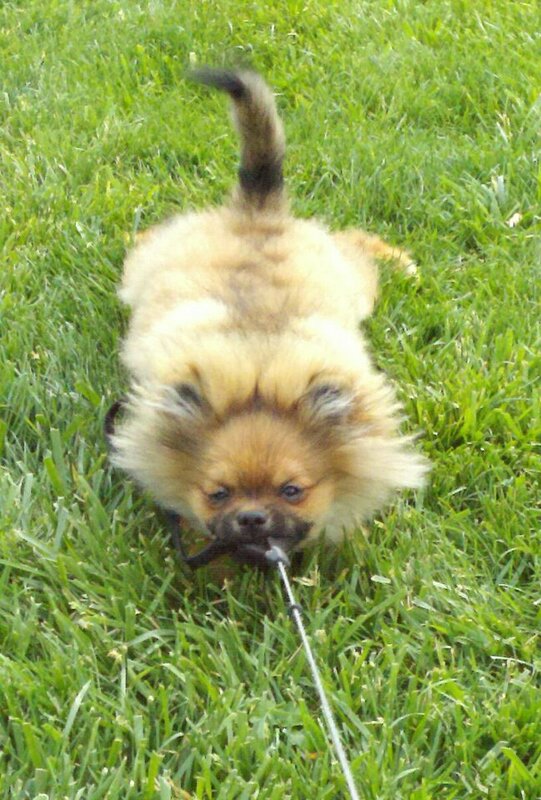 There is a development phase that adolescent Pomeranian puppies go through that is commonly referred to as the "puppy uglies". 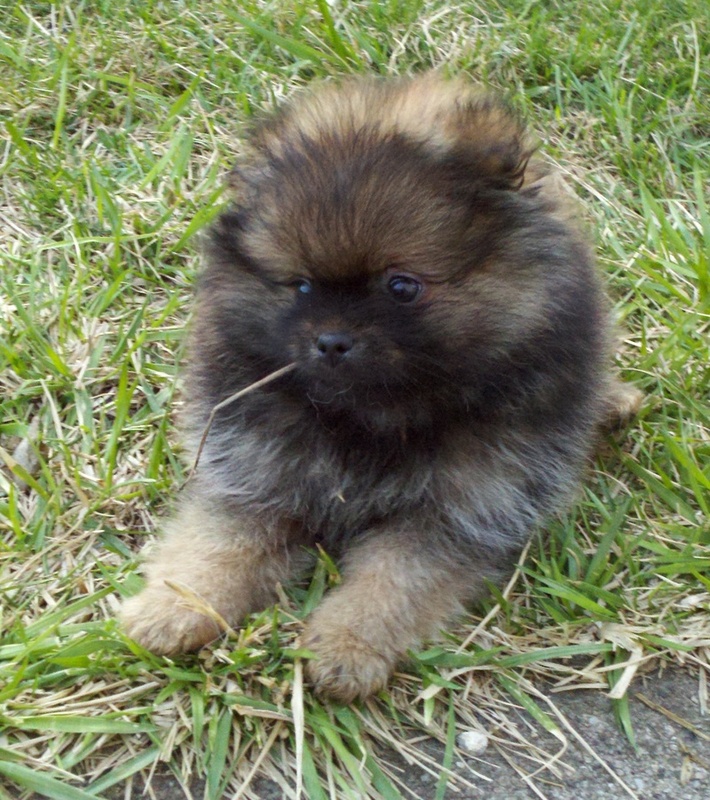 This is the time between Pom puppy-hood and adulthood, usually starting at about 3-4 months and diminishing at about 6-8 months. During this development phase the puppy's coat starts to thin out and look scruffy, which coupled with a growth spurt causes the puppy to look gangly and scraggly. After about 6-8 months this phase begins to end and your Pom's coat, face development and musculature begin to enter the adult stage and your 'ugly' little pom will transform with a beautiful new coat. 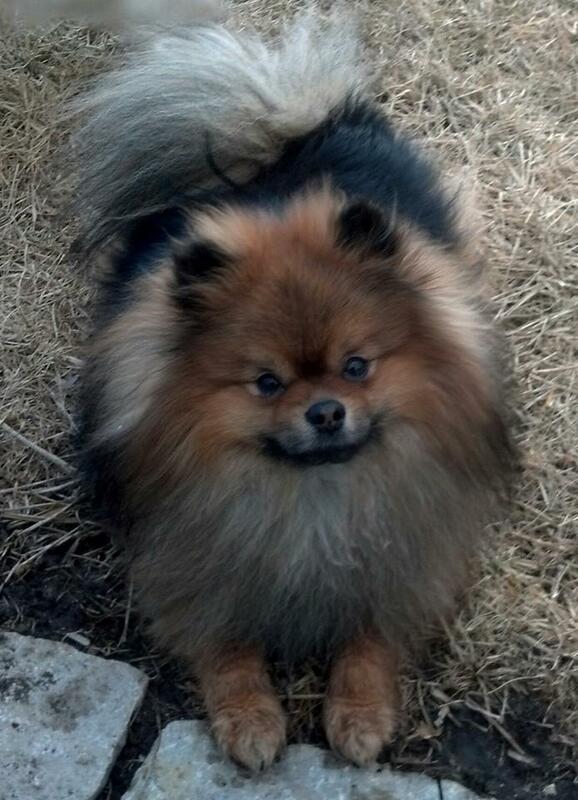 The inner-coat will grow first and then the coarse guard hairs will follow as the Pom matures at 8-12 months. At about a year you should have a pretty good idea of what your puppy is going to look like as an adult. This whole process may repeat between 12-16 months. 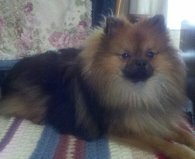 Poms do not receive their full adult coat until they are about 2 years of age. 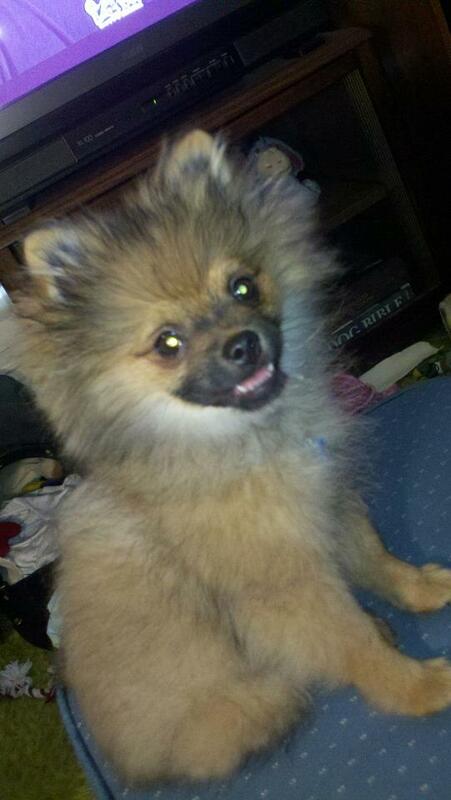 To keep your Pom's thick coat free of mats you may need to administer regular brushing. Male poms will shed their coat about once a year, but female poms will 'blow' their coat about 2-3 months after each cycle (about the time they would have weaned their pups). Never fear, they will regain their beautiful coat once again maybe even more lovely than before! His coat is almost fully back in and his is gorgeous! Obi is in full coat and is stunning as always!